Chattanooga Police said an inebriated man with a revoked driver's license caused a head-on collision on Highway 58 on Sunday night. 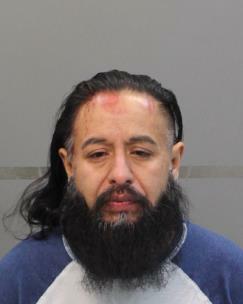 Edgar Antonio Hernandez, 43, of Hixson, was charged with reckless aggravated assault, reckless driving, DUI, driving left of the center line, driving on a revoked license and violating the implied consent law. Witnesses said Hernandez was driving a Nissan XTerra at a high rate of speed with no lights on going south on Highway 58, while a woman was driving a Kia going north. The Kia was struck as it turned into the middle turn lane to turn left. The driver was injured in the crash. Hernandez was found still sitting in his vehicle. He performed poorly on field sobriety tests.